Happy Tuesday all my crafty friends. So, I was asked by Die Cuttin’ Diva’s to be a Guest Diva the other week. I was so excited, my first time being a guest designer, that I happily accepted. 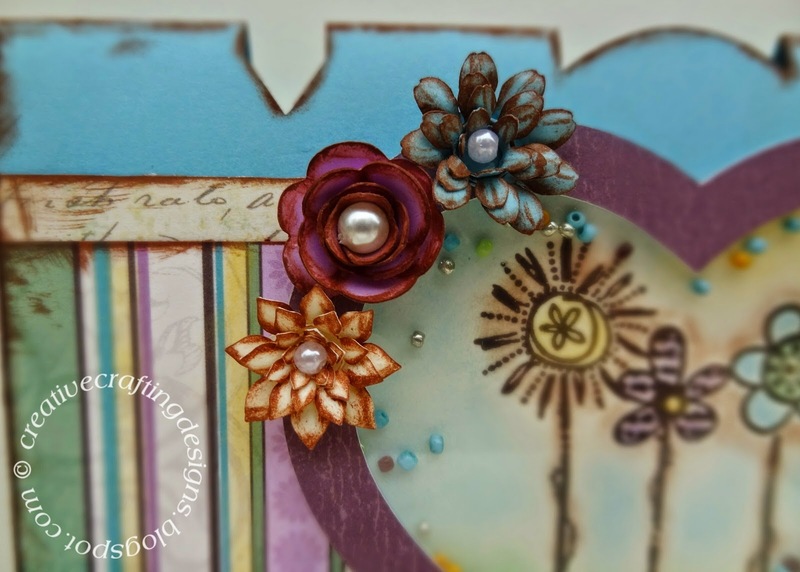 This weeks challenge over at Die Cuttin’ Diva’s is National Garden Month, so I chose to make this beautiful shaker card. Seeing as Mother’s Day is right around the corner I decided to make my National Garden Month card a “MOM” card. The MOM and shaker were both cut on my Cricut Explore using the MOM Shaker Card SVG file from My Treasured Kutz (MTK). I inked the edges of the card and patterned paper to give it a vintage look; then attached the patterned paper to the card base. 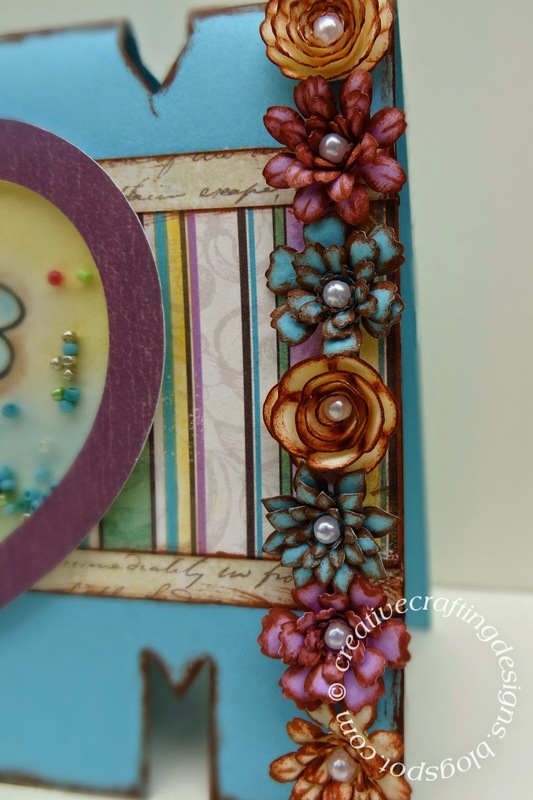 The inside of the shaker heart was done with a miscellaneous flower stamp from my stamp collection. I used chalk to color the stamp. Then, finished the shaker up by adding colorful seed beads to the inside and attaching the heart to the card. to curl the ends of the flowers. I then rolled the flowers using a paper quilling tool, finally gluing the bottom together and adding a pearl to the center of each flower. 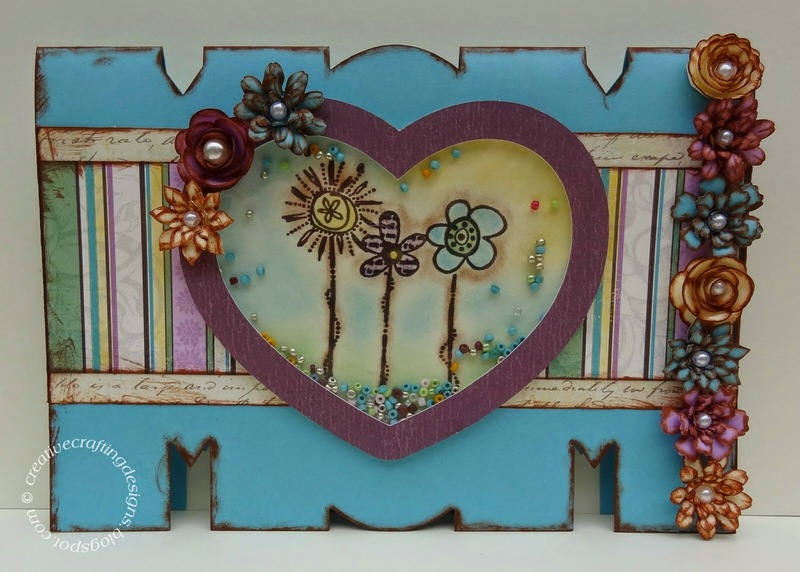 Then attached them all to the card to create a stunning card that any mother would be happy to get. Here’s a close up of how awesome and beautiful these flowers turned out. I really love the size of these flowers because they are the perfect accent to any card. This is the first shaker card I have ever made. It was so much fun and I love how it turned out that I can’t wait to make many, many more shaker cards. Thank’s for visiting my blog. Previous PostGo Bananas, It’s Your Birthday! Next PostIf friends were flowers I’d pick you!